The “Displacement” exhibition is on display from March 9 to June 9 at the Vancouver Art Gallery. 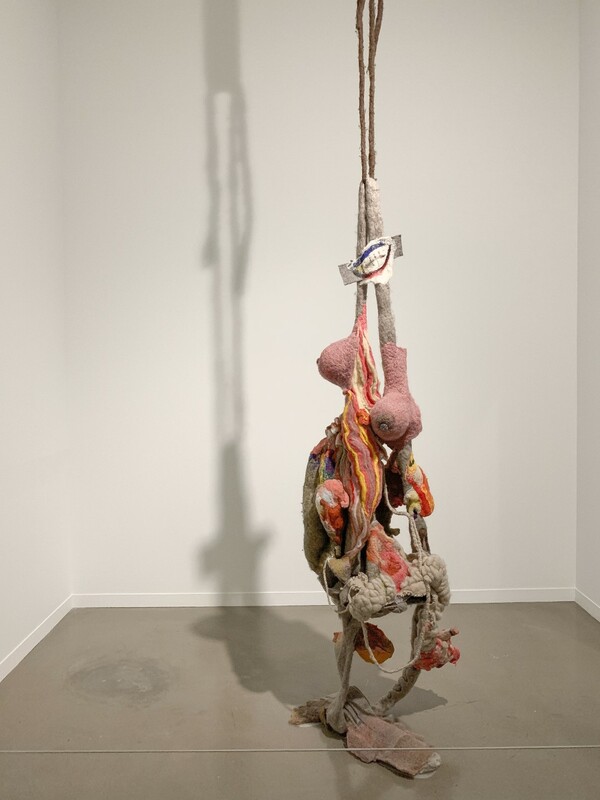 It features many pieces meant to evoke an emotional reaction in the viewer. Many different forms of displacement are used to elicit reactions—some of which include scale displacement, historical displacement, and cultural displacement. This exhibition showcases the work of many different artists, with pieces that tie the theme to the artists’ personal experiences. Here are some powerful works that are on display and deserve to be experienced in person. 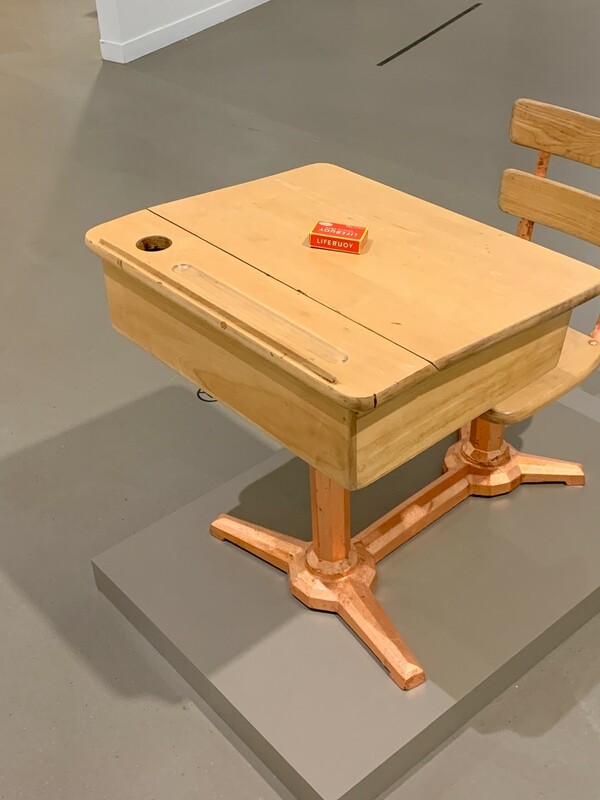 Leila’s Desk by Sonny Assu is a work created with wood, metal, and found objects. It features a vintage 1930s school desk that links to Assu’s grandmother. His grandmother Leila was one of the first Indigenous students to be allowed into public high school, where she was immediately subjected to racism. Someone once left a bar of soap on her desk as a way of deeming her a “dirty Indian,” which stuck with her. Underneath the desk, there is a painted racist slur in cursive as well. An example of scale displacement is Eaton Triplets by Aganetha Dyck. The piece is dated with the years 1976 to 1981. It features wool sweaters that have been shrunken down to miniature form. The sweaters represent failure to accomplish the traditional role of housewife, which stereotypically includes doing the laundry. 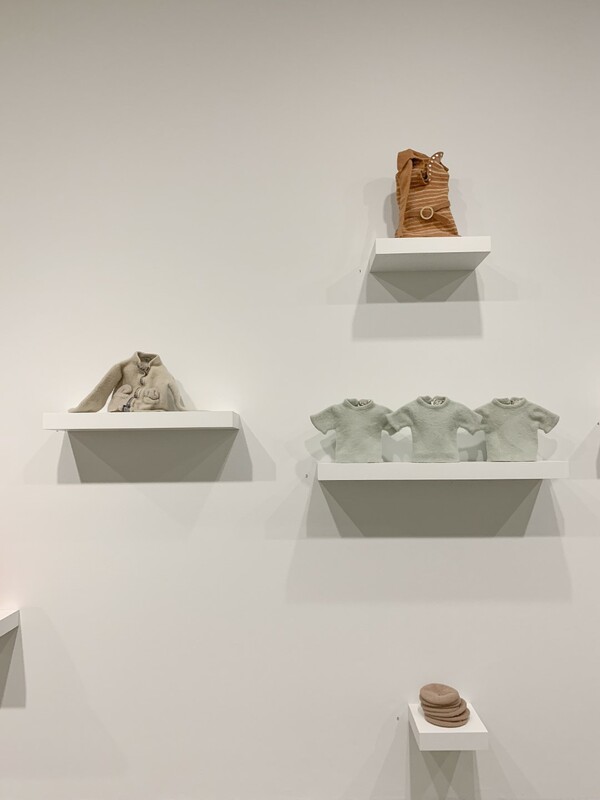 Because so many sweaters have been shrunken repeatedly, the work represents more than just failure; it also signifies a resistance to gender roles. This work caught my eye immediately because of how the display simply looks childlike with how small the clothing is, but its deep meaning makes it a powerful work. “Displacement” also includes a wall filled with a few clipboards full of details recounted by artist Jayce Salloum. The clipboards tell of life in Lebanon and include personal details as well. 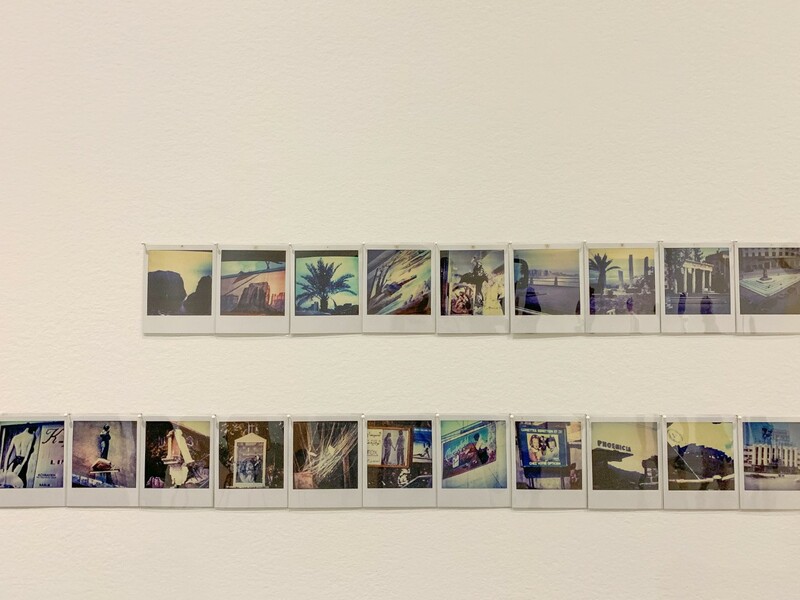 There are also one and a half rows of polaroids along the wall featuring pictures of Lebanon and striking images of people and places we may never see for ourselves. The displacement here stems from our inability to understand what life in Lebanon is really like. We can read all we want and view any number of pictures, but we will never truly know, which is what makes this piece so significant. The “Displacement” exhibition at the Vancouver Art Gallery provides food for thought with regards to experiences that we may never live through ourselves, and therefore challenges us to use our humanity in trying to understand.